Musical instruments and accessories you need are in-stock. Choose from major brands like Fender, Gibson etc. 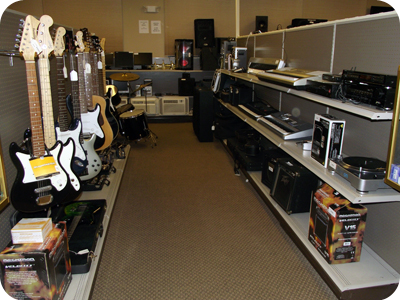 We carry a wide variety of instruments to satisfy all your bands needs. Come in, plug in and play before you pay. Need school band equipment we carry a full-line of horn instruments as well. Why pay retail get the equipment you need for a fraction of the price. 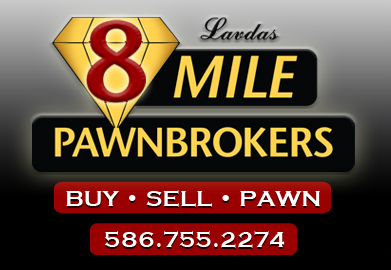 Find great deals on home entertainment electronics at 8 Mile PawnBrokers. Need a large Flat screen TV or stereo, or the gaming console. 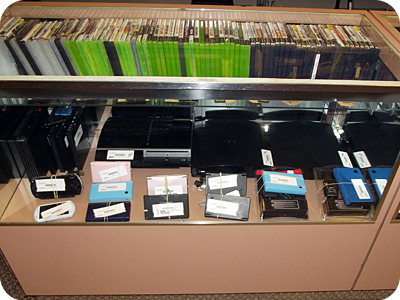 Our pre-owned home electronics are fully tested and many are in like-new condition. Need to get the job done and don't want to pay a bundle we have want you need for a fraction of the cost? 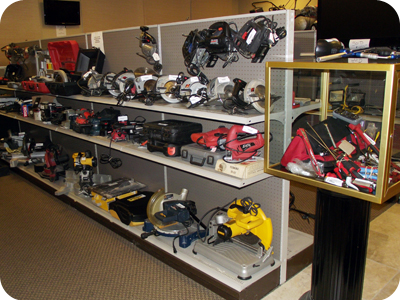 All used power and motorized tools are pre-tested to confirm they are in working order.